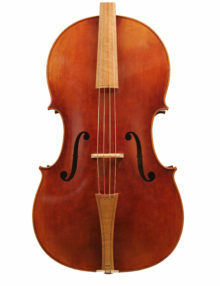 We repair, restore and sell fine stringed instruments, some of which are decades or even hundreds of years old. Whatever the age of your violin, making sure that it remains in a good playable condition and that you can avoid problems with it in the foreseeable future does involve some frequent basic cleaning, and sometimes some deeper cleaning of the instrument. Here is a brief guide to keeping your violin clean. 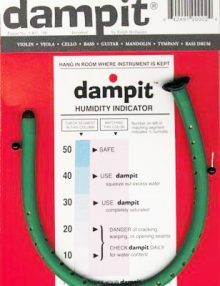 The varnish on your instrument is of course there to protect the instrument from moisture, abrasion and dirt as well as to improve its appearance. 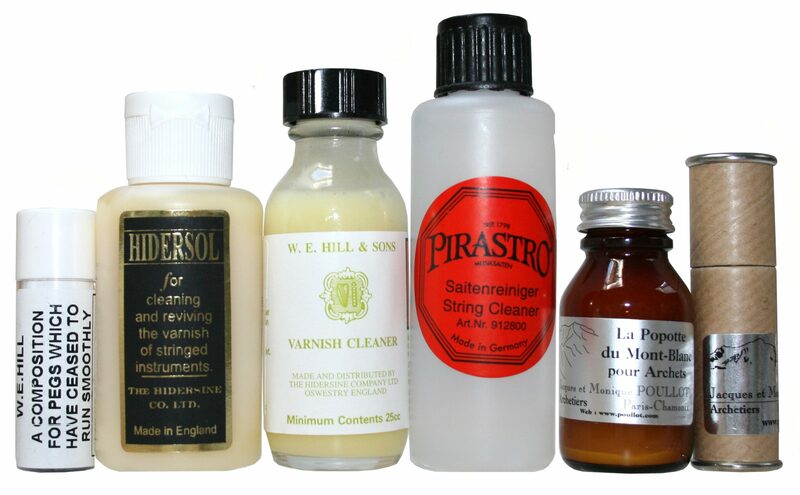 Some varnishes can be very sensitive and easy to damage and even handing the body of the instrument can remove a little varnish and leave a little more dirt. The shellac varnishes on 19th-century French instruments however are less delicate and can be wiped clean without any damage being caused. One of the biggest enemies of varnish can be a build up of rosin. It is of course necessary for rosin to be sticky so that the strings can resonate. The problem is that when particles of rosin get warm they become soft and sticky. This means that they tend to stick to the bow hair and to the varnish on your instrument (which itself can have rosin as a constituent). The chemistry of rosin particles also means that they also dissolve and combine with layers of varnish over time. Rosin particles attract and combine with dust, oils and airborne acids too thus making them even more potentially damaging to strings and varnish if left. Cheap rosins tend to be the worst offenders. All of this means that regular cleaning of your violin and bow are important but that special care should be taken when doing so. 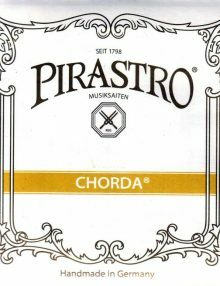 Making sure that rosin and dust / dirt don’t have a chance to stick and settle on the surface of your instrument or on the bow is therefore a good way forward. Try to get into the habit of wiping down your instrument with e.g. fine instrument cloth / microfiber cloth each time you play it. When cleaning the surface of your instrument so as not to damage the varnish use a soft dry duster and avoid commercial polishes as these can contain solvents, potentially hazardous hidden ingredients, and oily / waxy substances. These could lead to softened varnish or could cause problems if they get into cracks, purfling or seams. If the surface of the instrument is very dirty and sticky, take it to your local stringed instrument shop / luthier to have it professionally cleaned. You could also have any varnish that is thin or wearing through re-touched at the same time. The inside of your violin is of course more protected and less prone attracting the same kind of dirt as the outside. Cleaning of this area is therefore more of an annual event. Over time however it can be an area where dust collects. A thick layer of dust could affect the tone and it could lead to other problems. The inside of your violin however is only accessible through the F holes, and one way that some use clean the inside is to pour rice through the F holes and to gently shake it around. This can dislodge more stubborn dust and dirt and when you pour the rice out again the dust comes out with it. Once again, cleaning the inside of your violin may be something that you prefer to seek professional advice about or hep with. If in doubt ask a professional. Regular wiping of the fingerboard e.g. with a microfiber cloth / special instrument cloth can keep the build up of dirt and rosin on the fingerboard to a minimum. Deeper or more intensive cleaning of the fingerboard usually involves removal of the strings. If you’re an experienced player you may be confident doing this, and there are many different approaches to cleaning fingerboards among players. These range from a light wipe with rosin remover to light use of fine wire wool and a light wipe with a damp cloth. Other more risky methods (due to possible varnish damage) involve wiping the surface with a very small amount of alcohol, although this is not something that is recommended.The best solution if you are concerned that your fingerboard is particularly dirty, and particularly if you have a valuable instrument is to take it to specialist violin repairer / restorer / luthier. Remember to avoid touching the horsehair on your bow as the oil from your skin can mean that the rosin doesn’t stick to it. Rosin can also build up on the surface of your bow so getting in to a routine e.g. weekly of tightening the bow and wiping a clean, dry cloth between the stick and the hair can be a good way to stay on top of things. If you are not confident or unsure, or if you have an expensive bow, it is often the best idea to take it to a professional violin specialist.